Complementing my interviews, today’s Author Spotlight, the four hundred and fifth, is of fantasy novelist S E Zbasnik. If you would like to take part in an author spotlight, take a look at author-spotlights. S.E. 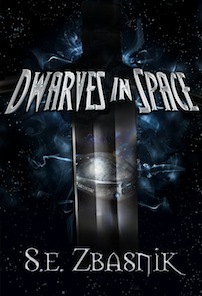 Zbasnik is the author of the ‘Dwarves in Space’ series – think Tolkien and Hitchhiker’s merged in a horrific transporter accident – as well as a bunch of other fantasy novels. You can find her on twitter as well as facebook, and hopefully not standing right behind you. She has a degree in genetics, which means there may or may not be a horde of monkeoctopi doing her bidding to take over the world. Bringing that scientific approach to the fantasy world is her game, trying to put some common sense into magic and magic into common sense. S.E. currently lives with her husband and beloved dog, who dress up like Sherlock Holmes and solve mysteries in their spare time. She spends nearly of all her time in Nebraska but that’s because it is impossible to leave without finding the lamppost. She lives in a house that has at least four walls and there are some other souls wandering forlornly calling to their lost lives within. 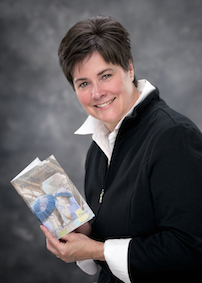 Complementing my interviews, today’s Author Spotlight, the four hundred and fourth, is of middle-grade writer Kathleen Andrews Davis. 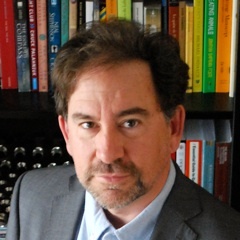 If you would like to take part in an author spotlight, take a look at author-spotlights. Kathleen Andrews Davis lives in the mountains of central Pennsylvania, USA, with her husband and a horde of white-tail deer who insist on annihilating any attempts at gardening. She and her husband are empty-nesters with two grown daughters and two beautiful grandchildren. ​During her varied working career, Kathleen did business writing with everything from press releases to policy and procedure manuals. She served a year as managing editor of an in-house newspaper where she enjoyed every aspect of production including writing, photography, and dummy layout. From there, she moved into marketing pieces and business plans. Many readers have likened the Emerson’s Attic series to historical fiction because of the geography, vocabulary, and period objects Kathleen researches in depth. “I’m a firm believer history is more fun when it can be taught in an entertaining way,” says Kathleen. 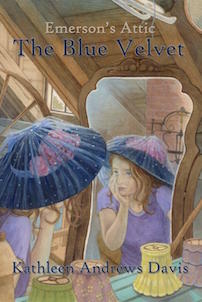 Emerson’s Attic, The Blue Velvet, the first in her self-published series for middle-grade readers was published in July 2013. 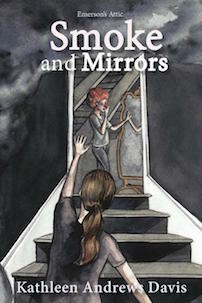 Smoke and Mirrors, the second in the series, was published in July 2014. The third, Quiet Heart, is expected to be ready for publication by the fall of 2015. Kathleen admits there are not enough hours in the day, but when she gets any free time she spends it reading, doing needlework, walking, snow skiing, and fly-fishing. Gardening has fallen to minimal maintenance only, at least until the deer find better feeding grounds. 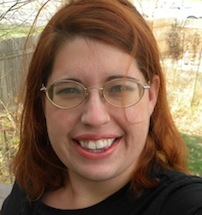 Complementing my interviews, today’s Author Spotlight, the four hundred and third, is of YA and paranormal novelist Heather Kirchhoff. 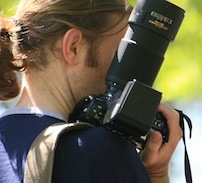 If you would like to take part in an author spotlight, take a look at author-spotlights. Heather Kirchhoff lives in a small town in Missouri with her three parents, siblings, a dog, and three cats. She became a bookworm back in sixth grade when her teacher suggested the Phantom Stallion series by Terri Farley and instantly fell in love. Heather loves reading paranormal stories, plus some love ones here and there. Honestly, she’ll read anything as long as it’s good. Writing is her passion – it helps her escape the world for a while, as well as reading—she doesn’t know what she’d do without it. She just loves it. When she isn’t writing, Heather is doing odd jobs, reading, editing, promoting, taking walks, or spending time with her boyfriend and animals / family. 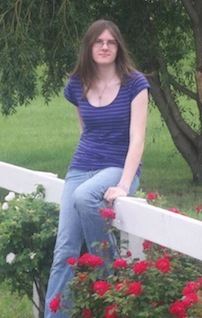 Heather is currently a senior in high school. 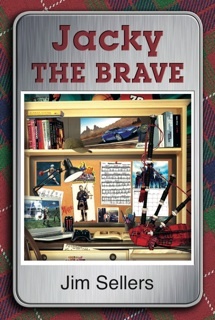 Today’s book review, of the three short stories in Carol’s collection, is brought to you by yours truly, Morgen Bailey. 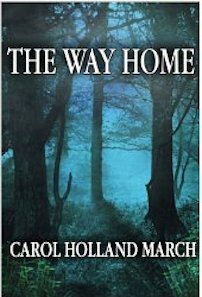 Synopsis: The Way Home, a collection of visionary stories about finding your true home. Whether a place or a relationship, all the characters in The Way Home are seeking what they’ve lost, and the clues they follow are just beyond the veil. A metaphysical treat for those who like their stories off the beaten path, their fantasy balanced on the edge of reality. When a volcano threatens the Valley of the Caheya, a priestess sets out to recover the stolen crystal that can create a bridge to another world. But facing the demon and the venomous black sea that guard the crystal is just the beginning. Mata must confront her ancient past and her desire for revenge if she is to save her family and the Caheya from extinction. The Way Home is a journey into the past to save the future as Mata seeks redemption from an unlikely source. But will she be able to coax the bridge from the crystal before the volcano wipes out everything in the valley? Other stories include The Conversation, where a thoroughly-urban poet searches for home in the desert she has always feared and follows a wolf to meet her destiny. In Desert Song, a young woman embarks reluctantly on a road trip, where she is chased by a ghostly skeleton, and faces buried memories so she can open to herself to love. In The Girl Who Couldn’t Fly, a young man on the verge of adulthood falls in love with a mysterious winged girl who cannot become who she is without her twin. But her twin is on another world, and how will her family ever find her? This collection is available from http://www.amazon.com/dp/B00GDSLXAY and http://www.amazon.co.uk/dp/B00GDSLXAY. This collection starts with ‘Desert Song’ and a brilliant opening: ‘The Chevy truck looked like I had been painted by a team of monkeys on acid’. The story settles into first-person past tense, set in 1982 – my mid teens – and the humour continues, told by our protagonist, Franny. This story is a tale of her simple life with Ray, and a journey they made in the aforementioned truck. There are serious moment but they’re told with humility. I was intrigued at the mention of a skeleton and we have two other conflicts (her relationship with her family and her feelings about Ray). H.E. Bates Short Story Competition closes 4th Nov! The H.E. Bates Short Story Competition, run by one of my writing groups, Northampton Writers Group, closes tomorrow, Monday 4th November (midnight UK time). 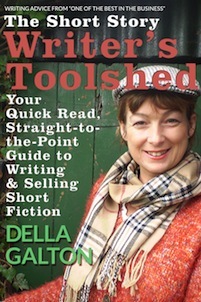 This year we have Della Galton as our Head Judge (as Chair of the Group, I see and mark all the entries). If you have a short story (up to 2,000 words) that you’re proud of, take a look at https://morgenbailey.wordpress.com/competitions-calendar/he-bates for details.